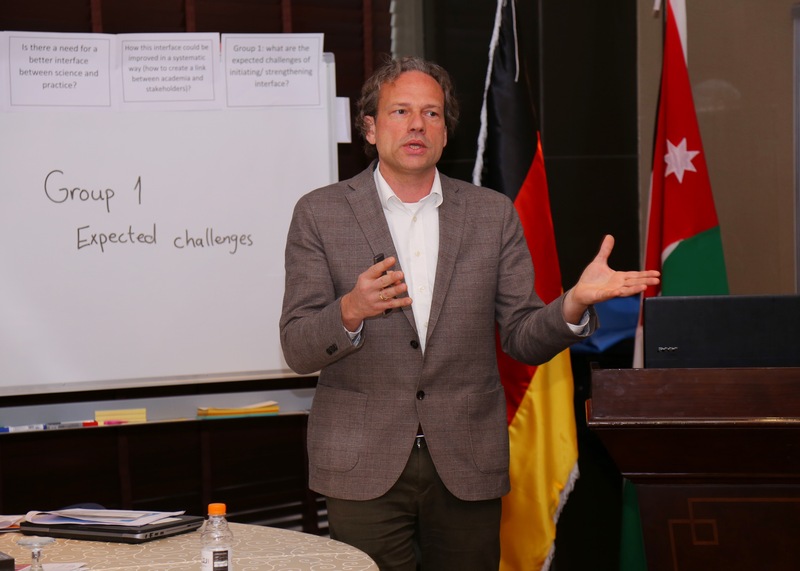 The German Jordanian University (GJU), through the School of Natural Resources Engineering and Management, in partnership with the TH Köln University of Applied Sciences, launched a project in Water Security in Jordan- from Data to Decision (WaterD2D), which is funded by the German Federal Ministry of Education and Research. 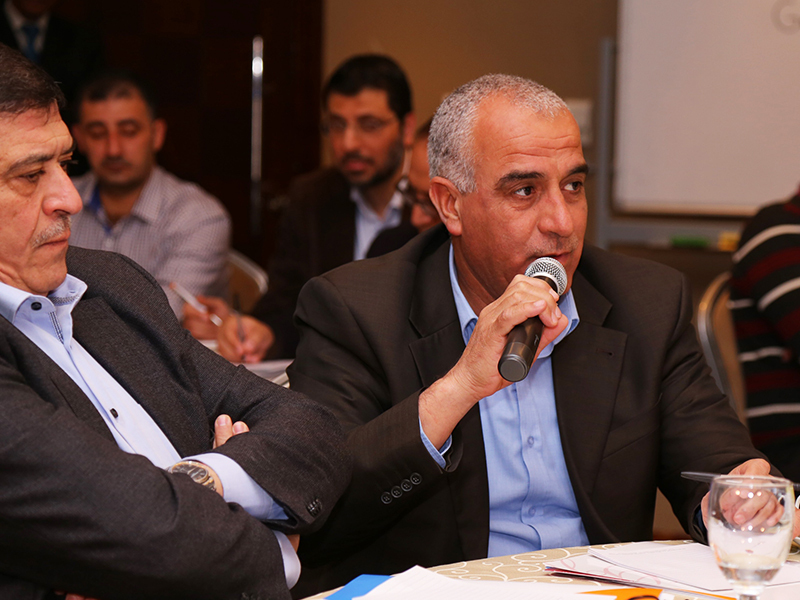 The project aims to promote the concept of "evidence based knowledge" as an effective tool for decision making towards a water secure Jordan, focusing on research questions triggered by the needs of the decision makers and stakeholders in responding to current and potential societal challenges. The project also aims to create spaces for cooperation between scientists, policy makers and stakeholders from various sectors to discuss the diverse facets of water security and to harmonize current and future research between academia and practice. As well as to form innovation ecosystems channeling research results to social innovation processes and products with market potential. The President of GJU Prof. Manar Fayyad mentioned that the project is being implemented through a coalition of institutions from higher education that includes: the German University of Jordan (GJU), the Jordan University, the Inter-Islamic Network on Water Resources Development and Management, TH Köln (University of Applied Sciences), Technical University of Munich and Freie Universität Berlin. Fayyad pointed out that Jordan is one of the poorest countries in the world with water resources. 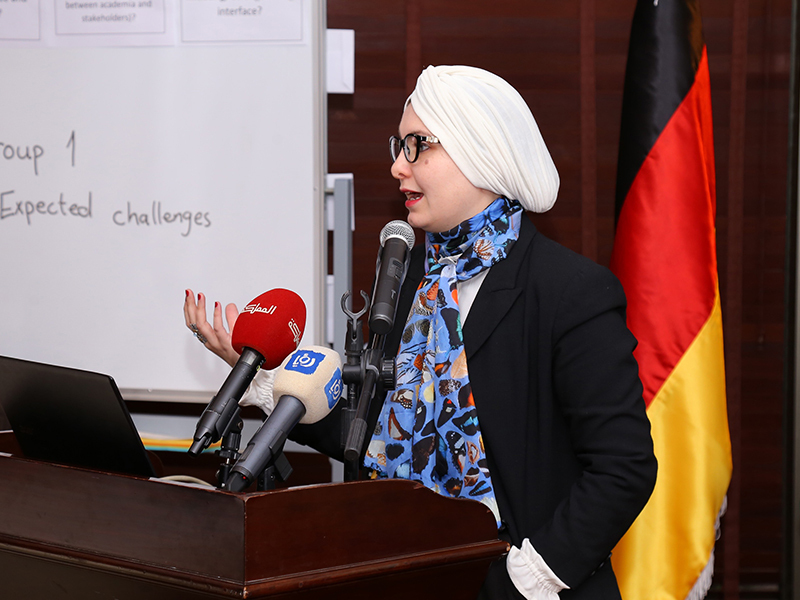 Therefore, it is important to understand the importance of knowledge and innovation for those involved in the decision-making process to support the Jordanian and German Universities Coalition to obtain visions of current water security challenges based on practice and implementation. 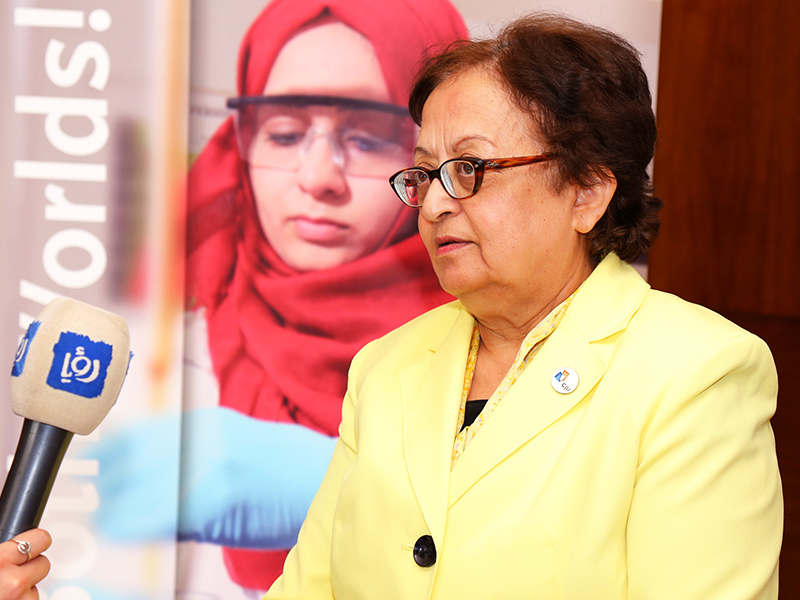 She stressed that the university is working with all stakeholders to provide the necessary knowledge required by the water sector in Jordan to decision makers and to rethink and redesign current and ongoing research concepts being applied with the stakeholders to achieve the desired water security. The Secretary General of the Ministry of Water and Irrigation, Eng. 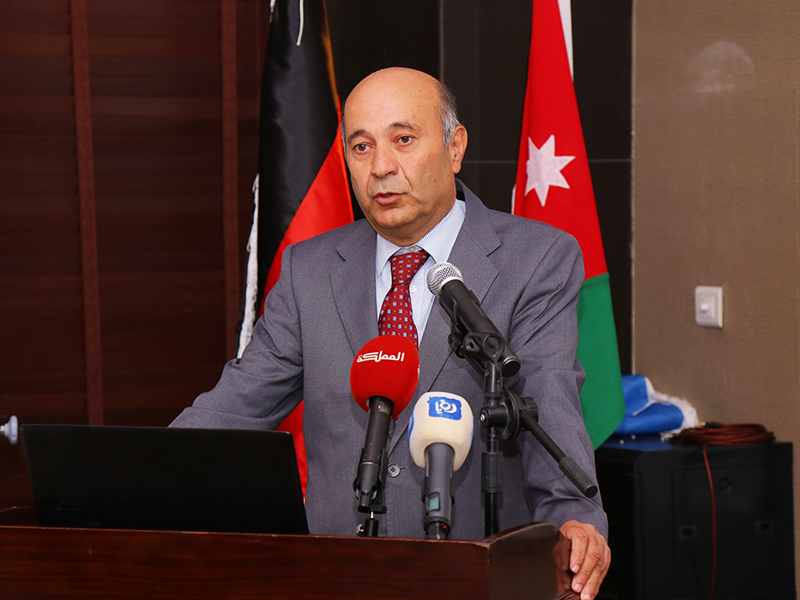 Ali Sobh highlighted the challenges facing the water sector in Jordan such as water scarcity, drought, climate change and imbalance between the available water resources and the water deman. Stressing the need for studies and research to find appropriate solutions and to face these challenges from the academic side so that the decision makers can take the necessary actions in the future. The Dean of Natural Resources Engineering and Management School Dr. Munjed AL-Sharif explained that the academic sector is currently conducting multiple researches in the water sector to help decision makers implement them. Stressing that the water sector in Jordan faces many challenges so that all parties should cooperate together to reach water security, which is the security of development, society and citizens. The Project Coordinator from TH Köln University, Prof. Lars Ribbe, presented the project and its objectives. Indicating the importance of bridging the gap between academia and decision makers regarding water security. In addition, he highlighted that the different partners need to agree on pilot projects and other joint activities to be further investigated during the project phase on the consortium competencies and current challenges of water security. 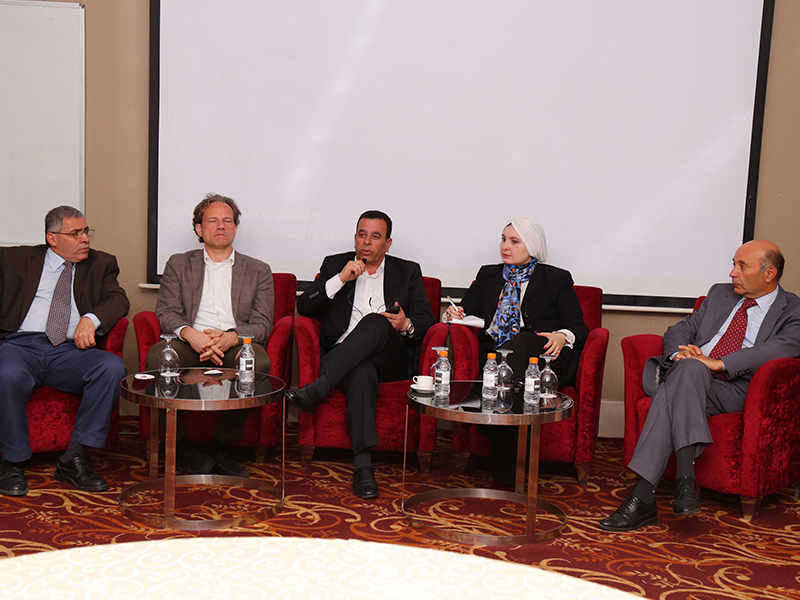 The workshop which was attended by the Vice President, Prof. Atef Kharabsheh and representatives of a number Jordanian and German institutions included a brief about the WaterD2D Project, its objectives and the challenges facing the water sector.